PERC solar cells have the potential to deliver a significantly higher level of energy efficiency compared to standard solar cells. 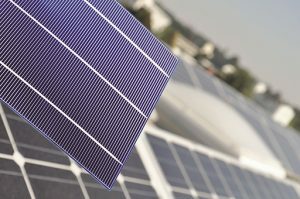 A critical step in the manufacturing process of PERC solar cells is laser contact opening (LCO), where laser ablation is used to perforate a thin passivation layer onto the rear side of the solar cell. This process reduces electrical losses in the cell, resulting in approximately 1 percent (absolute) higher conversion efficiency. 3D-Micromac addresses this critical step with its microCELL OTF laser platform, an industry-proven, high-productivity and low cost-of-ownership solution for mono- and polycrystalline silicon solar cells. Featuring “on-the-fly” technology, the laser process takes place while the wafer runs in continuous motion through the machine, boosting the throughput by eliminating dead cycles for motion encountered with competing approaches. The microCELL OTF achieves throughput values above 4,000 wafers per hour (wph) with single-lane systems and above 8,000 wph with dual-lane systems. Another unique selling point of the microCELL OTF is its contactless wafer handling, which holds the wafer in place on an air cushion during processing, thereby reducing or eliminating surface defects and microcracks, and enabling maximum yields. Mechanical wafer handling, on the other hand, can increase the likelihood of surface defects and microcracks occurring, which can result in additional wafer damage during subsequent process steps. Second-generation microCELL OTF laser system from 3D-Micromac for laser contact opening (LCO) of high-efficiency PERC solar cells.